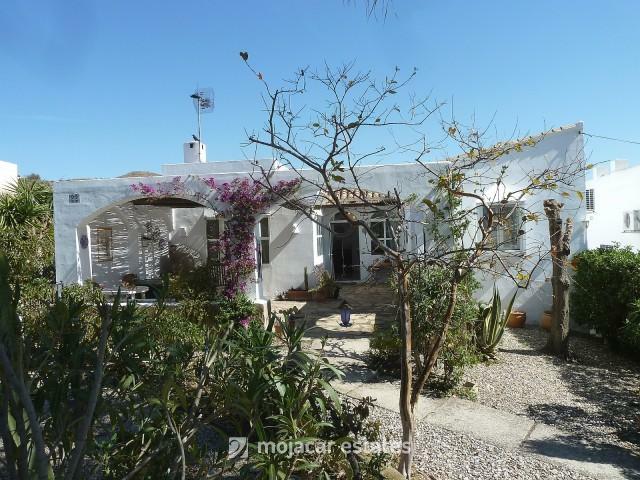 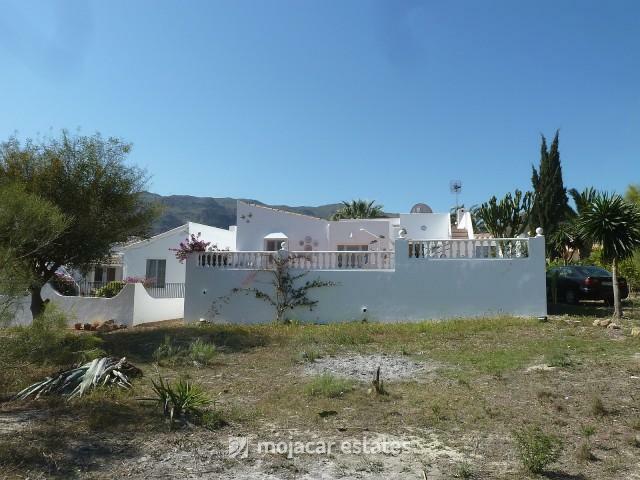 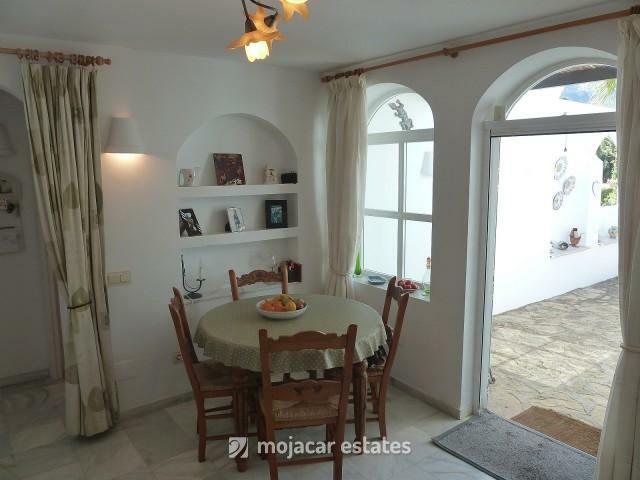 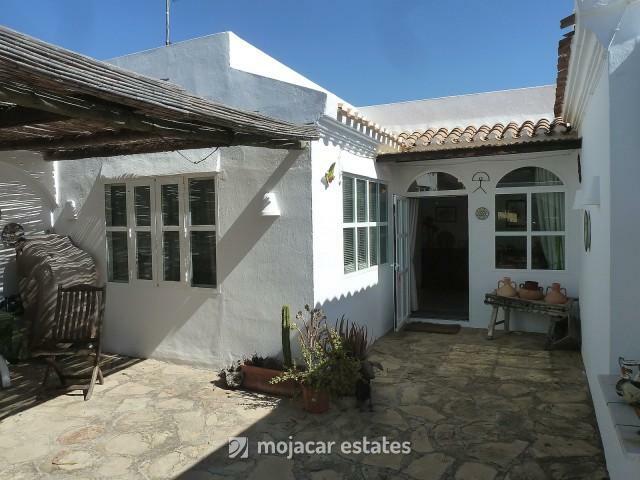 South facing detached villa with a lot of outside space for sale in Cortijo Grande, Turre, Costa de Almeria. 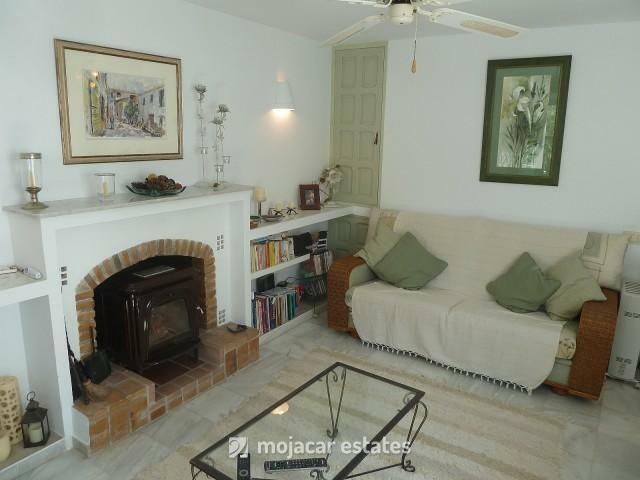 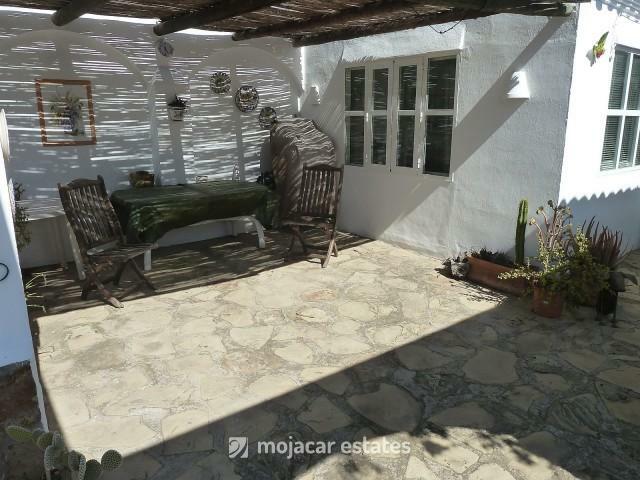 The property is on one level and is entered through an Andalusian front garden and the covered South facing terrace. 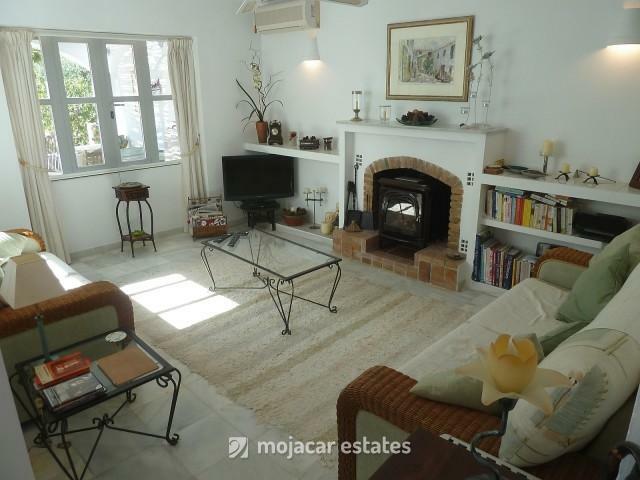 The well maintained house consists of 3 double bedrooms with built in wardrobes, 2 bathrooms (one with shower and the other with bath), a good size modern kitchen with exit to the large back terrace, lounge with open fire place and a dining area. 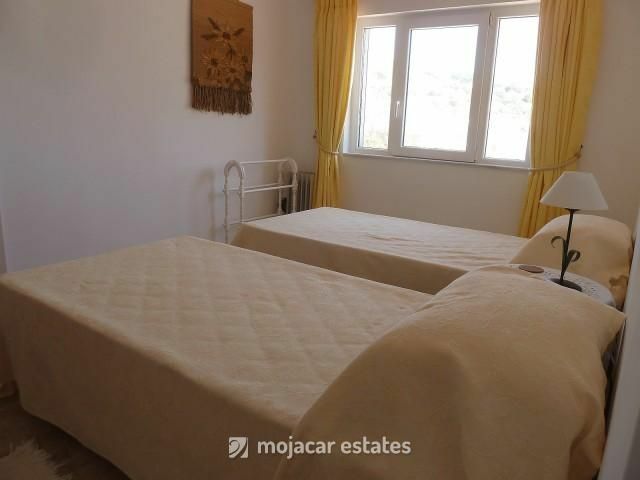 Air conditioning in lounge and main bedroom. 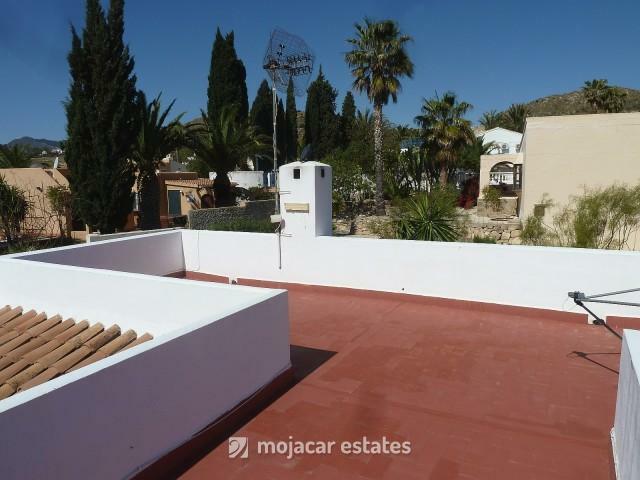 External stairs lead to roof terrace with panoramic views over the old golf course Cortijo Grande towards the Cabrera mountains. 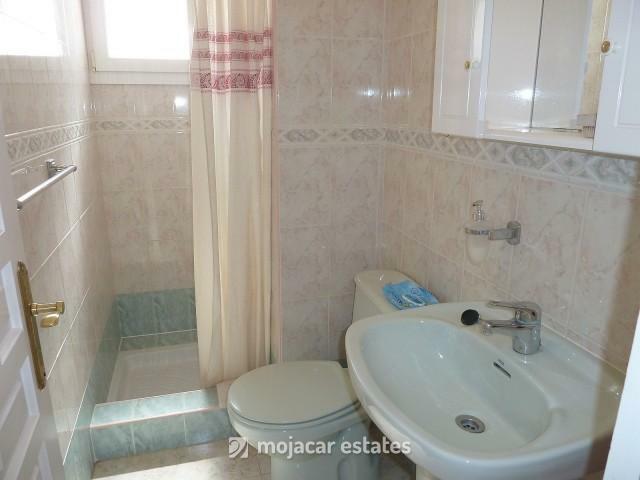 The property is sold furnished according to inventory. 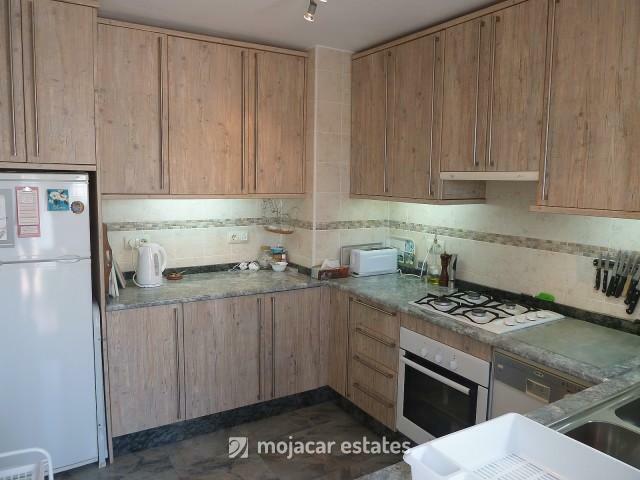 Street parking. 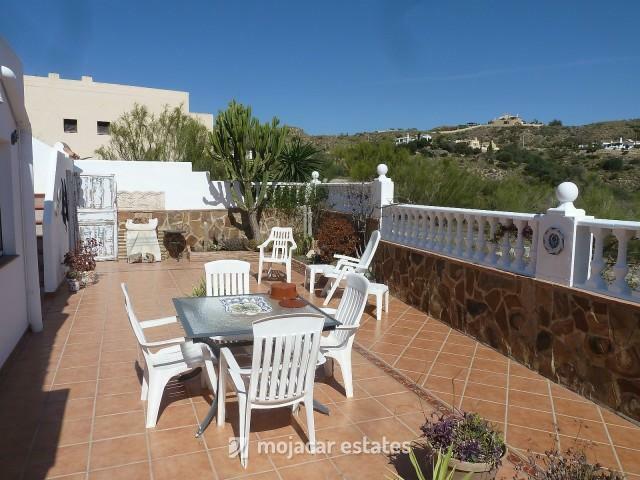 This is a quiet residential area and ideal for all year round living. 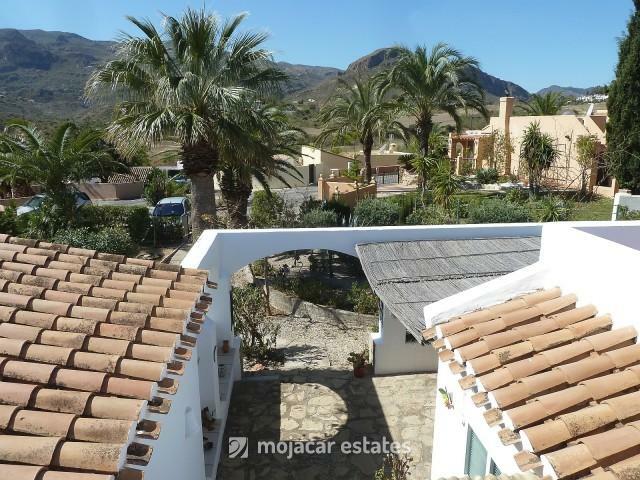 Turre is only a short drive away (5km) where you have services like a medical centre & chemist, a wide range of shops, bars and restaurants and a marketplace in the village square every Friday. 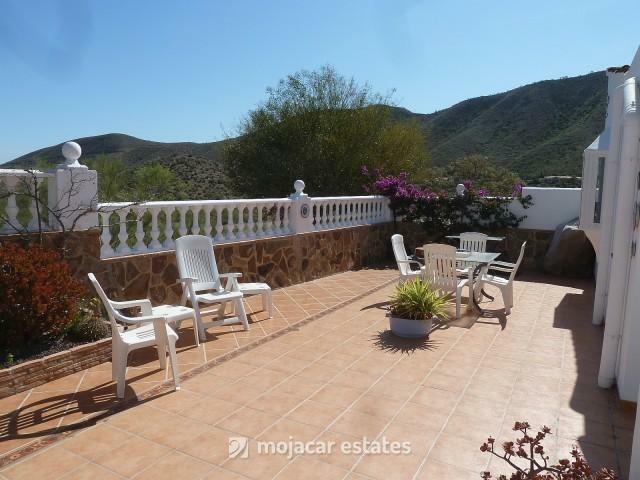 You will find the coast of Mojacar and Garrucha only 10km away from Turre.